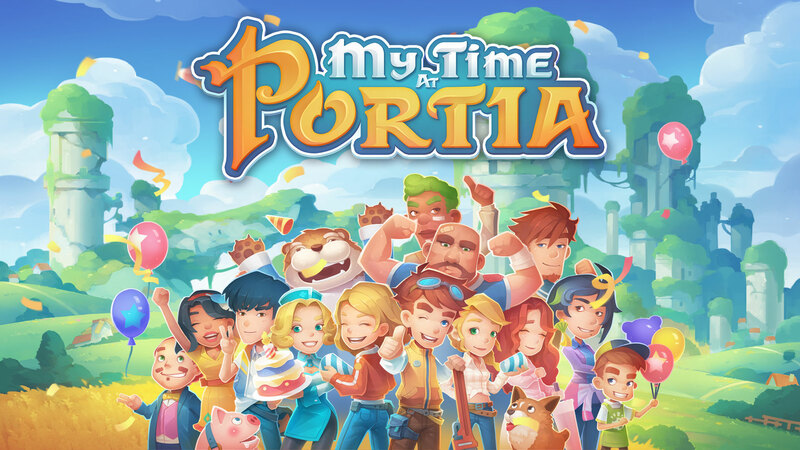 My Time At Portia is available for PC on Steam and the Epic Games store priced at £24.99 / $29.99 / €29.99, and contains brand new content! Check out the full changelist of Steam for all additions, adjustments and fixes! If you’re an early access player, the game will update in your Steam library and you can continue playing on your existing save file. If you haven’t experienced life in Portia yet, there is a free demo available on Steam or you can check out our handy FAQ post, HERE. Competition: Thanks to our lovely friends at CORSAIR, we’re hosting a competition to win a fancy new CORSAIR Ironclaw RGB mouse and MM800 RGB POLARIS Cloth Edition mousepad, along with a Steam key for the game. Three runners-up will also win a Steam key for the official soundtrack to the game! To be in with a chance of winning, you can enter, HERE. My Time At Portia will be coming to Nintendo Switch, PlayStation 4 and Xbox One this spring.